Why yes, officer, that is a wood-burning stove in my glove box. It's hard to imagine what led Pascal Prokop to install a wood-burning stove in his 1990 Volvo 240 station wagon. Though we're safe to say that the trend won't catch like wildfire. 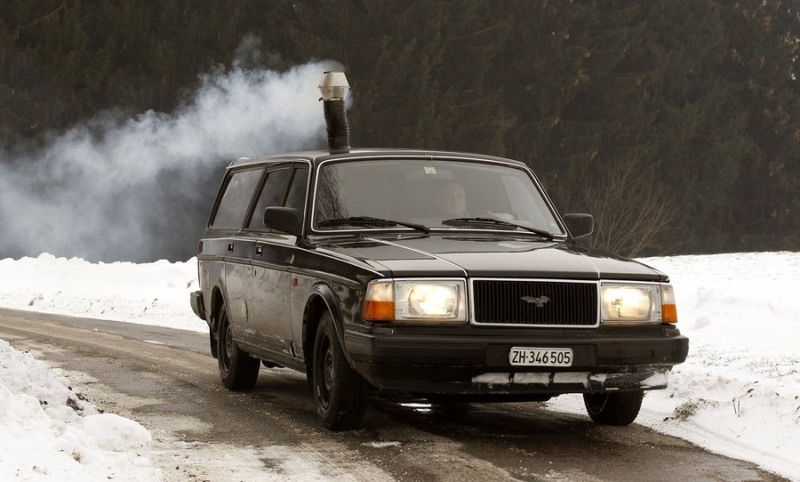 Smoke rises from a chimney atop Pascal Prokop's 1990 Volvo 240 station wagon near Zurich on Thursday, Feb. 9. 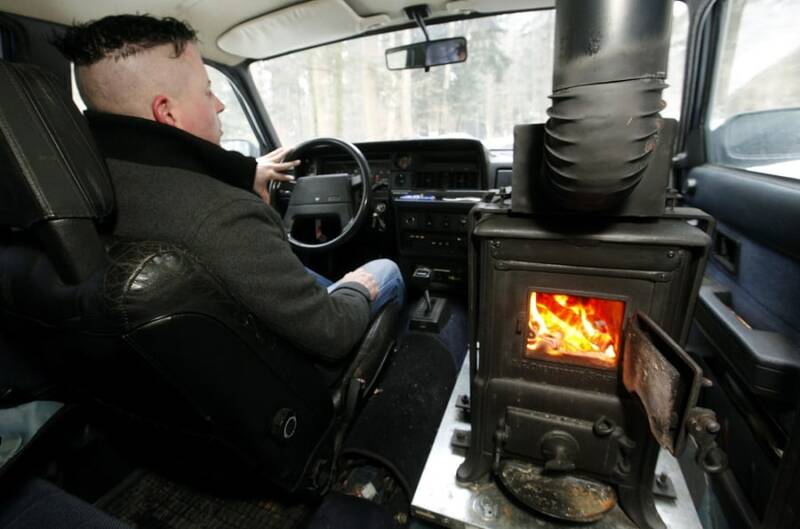 Wood burns in a stove as Pascal Prokop drives his 1990 Volvo 240 station wagon during cold winter weather on a road near the town of Mettmenstetten, south of Zurich on Thursday, Feb. 9. Prokob built and installed the wood-fired stove himself and got an operating permit from the Swiss technical inspection authority.